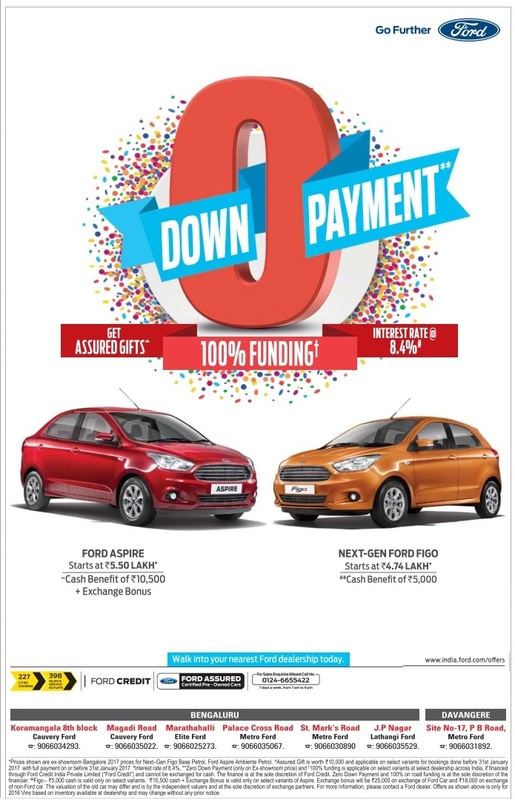 Own your favorite ford cars with zero down payment,100% on road funding with 8.4% rate of interest and win assured gifts. Discount Offer applicable on Ford Aspire, Next gen ford figo and Ford Ecosport. For more details call phone customer care contact : 0124-6655422 or visit www.india.ford.com/offers.